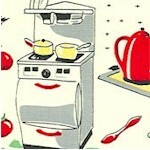 This fun retro print features line drawings of pots, pans, rolling pins, spoon rests, coffee pots and more over a background of red, green and white vertical stripes. 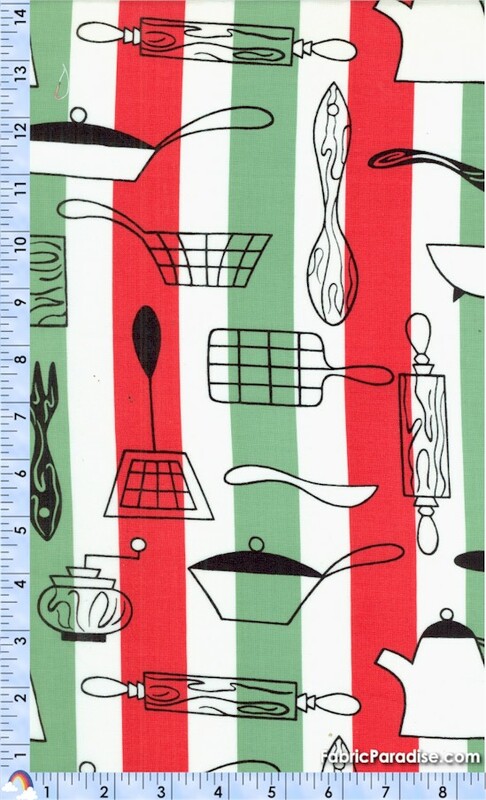 Perfect for an apron, tablecloth, napkins, or even kitchen curtains. Please note that the stripe runs the LENGTH of the fabric (i.e. PARALLEL with the selvedges).